Emmanuel “ Manny” Knaggs is an X-Cel Education college prep graduate and a current X-Cel employee. “Manny” came to X-Cel from Suffolk County House of Corrections in April 2011. He finished his time at the Brooke House pre-release program, where he started college prep and began to prepare for his Accuplacer test to enter college. Manny graduated from the X-Cel college prep class later that year, and has been teaching math at X-Cel since September 2011. “While I was incarcerated I went to the breakfast hall one morning and I saw that my little brother was there at another table. I was happy to see my little brother although not under these circumstances. It was then when I realized that he was following in my footsteps and that my elderly mother, a foreigner to the U.S. who didn’t speak a word of English, was on the outside all by herself with no one to look after her. This thought still brings tears to my eyes until this very day. I had to reevaluate my life and decided that I needed to make a change. After graduating from X-Cel’s college prep program, Manny enrolled in Bunker Hill Community College and started working on his associate’s degree in math. 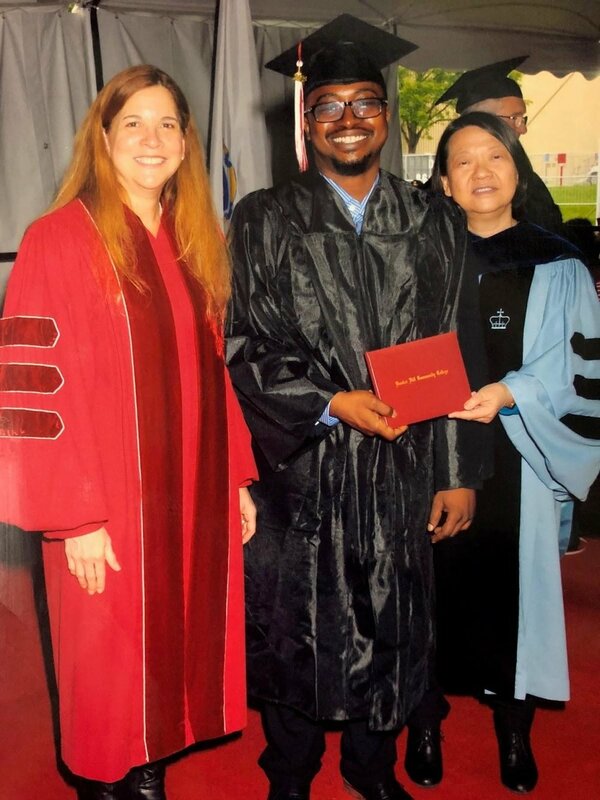 He graduated from Bunker Hill in May 2018 and has applied to four universities, including Northeastern, to continue his studies and earn his Bachelor’s degree. Manny’s goal is to become an entrepreneur using math, something that he loves to do, while giving back to his community. What advice do you have for current or potential students?